ARTandSEEK was created in 2015 to offer educational programs in English for the communities of Rome. The founders, Viviana and Isadora, are art specialists with experience in young persons' education. They drew inspiration from their own children's creativity and passion, to create an 'ideas lab' that would allow young people to develop their artistic expression, appreciate Modern and Contemporary art and discuss important themes through the eyes of great artists. Viviana Bagnato was born in Napoli and studied Architecture for her BA. She worked as a freelancer in Italy before going abroad. She spent the last 15 years in 5 different countries where she combined her knowledge in Architecture with her passion for Art. She studied painting and drawing at Westminster College in London and completed a Gallery Teaching for Elementary School Groups course at the Guggenheim Museum in New York City. She worked in New York City for the Learning Through Art Program at the Guggenheim Museum and as Teaching Artist for The Center for Arts Education. She is currently Educational Art Designer for London based charity EiTRf.org. 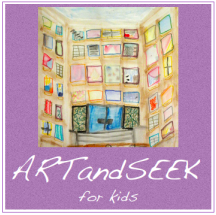 ​Viviana is one of the founders of ARTandSEEK. She coordinates all aspects of the association's activities. She also deals with school and special projects. Isadora Papadrakakis was born in Athens and studied Ancient History at Cambridge University, History of Art at the Courtauld Insitute of Art, and Theatre Design at the Slade School of Art, London. 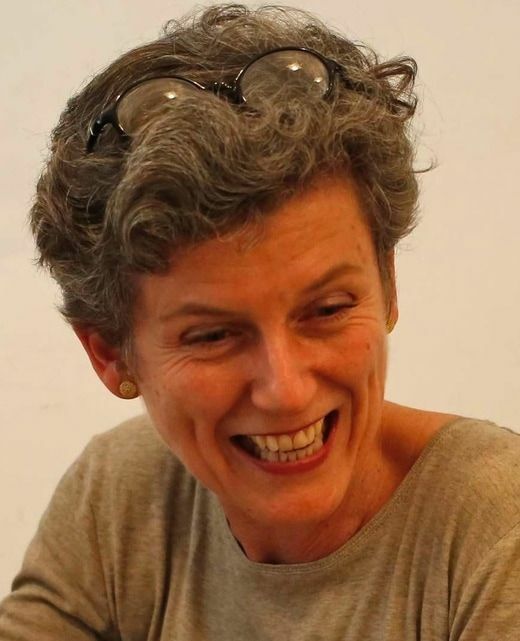 She has worked as a cultural journalist for "Vima" newspaper in Athens, as an Arts Manager for the British Council in Greece and India and as an Art Advisor for the Abu Dhabi Authority for Culture and Heritage. She has a special interest in education ‘outside of the curriculum box,’ as well as in mentoring young people to connect with their imagination, critical skills and self-confidence. She is also a yoga and meditation instructor for kids and adults. ​Isadora is one of the founders of ARTandSEEK. She deals with school and special projects. She also handles Public Relations with partners and new contacts. Valentina Alberti was born in Palermo and studied Art History for her BA in Pisa and received an MA in Museum Education at Bank Street College of Education in New York City. She worked for and collaborated with, among others, the Metropolitan Museum of Art, the Brooklyn Children’s Museum, the American Museum of Natural History, as well as the GAM of Turin, leading tours and art workshops for children. She spent ten years in Africa, working in Educational and Humanitarian Sectors. For ARTandSEEK Valentina has delivered numerous museum programmes. She now lives abroad with her family, but still is a valuable contributor to our projects. training programs and support groups for teachers. For ARTandSEEK Joanna coordinates,creates and delivers museum programmes and art workshops. Lillian R.Barbano was born in New York and raised in Colombia and Florida where she majored in Advertising and Marketing at Florida International University. Led by her passion for art and technology, she has experimented with many different art mediums. Over the past 15 years, she has been a creative director, graphic designer and editor being involved in the USUN quilt "Exhibition for Geneva chapter”. She is now focussing on curation and creative management for artists. Lillian's interests include writing children's stories and teaching youths technology, Spanish and English. For ARTandSEEK Lillian serves as Secretary of Board and event organiser. Lisa Fedich was born in New York City and got her BFA in advertising design at Fashion Institute of Technology. She had been teaching kids in New York City for about 20 years in various programs like "Learning through Art" at the Guggenheim Museum and "Artworks" at the Metropolitan Museum, and in Chicago as a teaching artist for various children's educational programs in schools. She moved to Rome 10 years ago to pursue her artistic career, learning classical oil painting and developing various painting techniques. She teaches art to children through workshops and tours in Rome but often travels doing shows and selling her work internationally. For ARTandSEEK Lisa creates and delivers museum programmes and art workshops. Katie Amanda Smith was born in Leicester, UK. She studied Contemporary Theatre at Lancaster University and spent the next few years teaching English in Brazil, Spain and Italy. On returning to the UK she has been involved in acting for theatre and film as well as running youth theatre and arts workshops. She moved to Italy in 2018 where works with children in International Schools. Katie loves being with children and young people and has worked in summer camps for kids teaching through songs, games and theatre. She loves stories and her interests include theatre , cinema, art- especially street art, and literature. For ARTandSEEK Katie creates and delivers museum programmes and art workshops.